Flexible architecture and a library of plug-ins keep integration costs down, even for the most complex configurations. Improve the efficiency of your print operations and increase production line productivity. Easily integrate your existing environment using your current enterprise systems and legacy equipment. No custom software or server hardware required. Scale up easily – add equipment to your line, or expand to multiple plant locations. MPERIA’s unparalleled performance will keep up. Increase efficiency—across the production floor or around the world. MPERIA® enables you to manage and control marking and coding operations at any point in your production line—all from a single location. Automate code and message changeovers. Reduce user error and recalls. 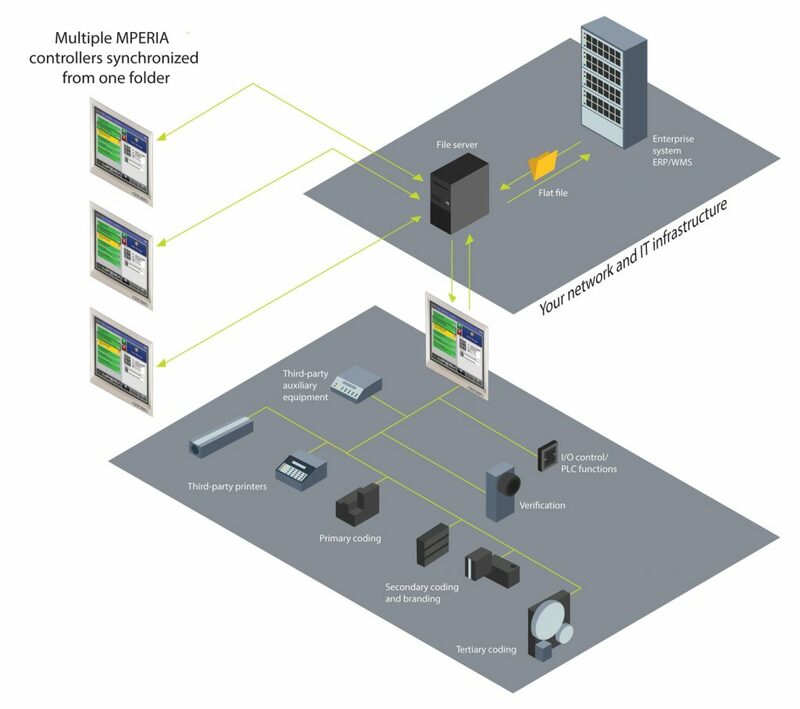 MPERIA synchronizes with any ERP/WMS system or database to automatically send data to the production floor. Integrated verification systems ensure that prints are accurate and readable at every point—from product to pallet.